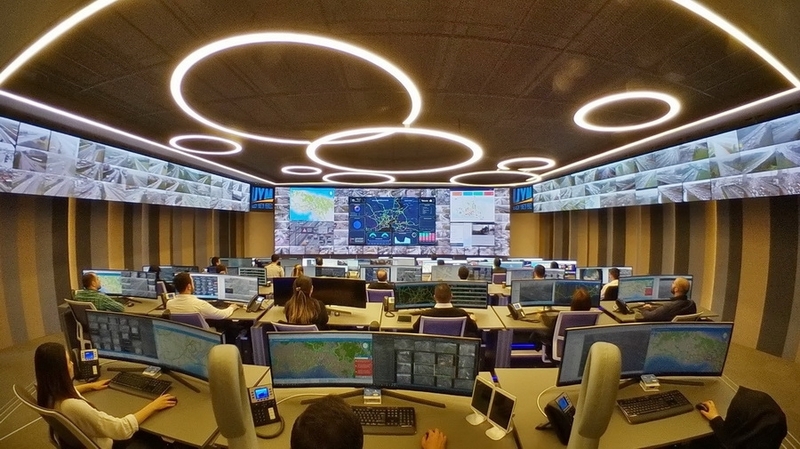 Colosseo showcased a very unique project for Hisarüstü Traffic Control Center in Instanbul when it installed its proven Single Media Platform technology for controlling thousands of live camera feeds along with the custom designed, fine pitch LED video wall that was supplied with the advanced video wall management system. 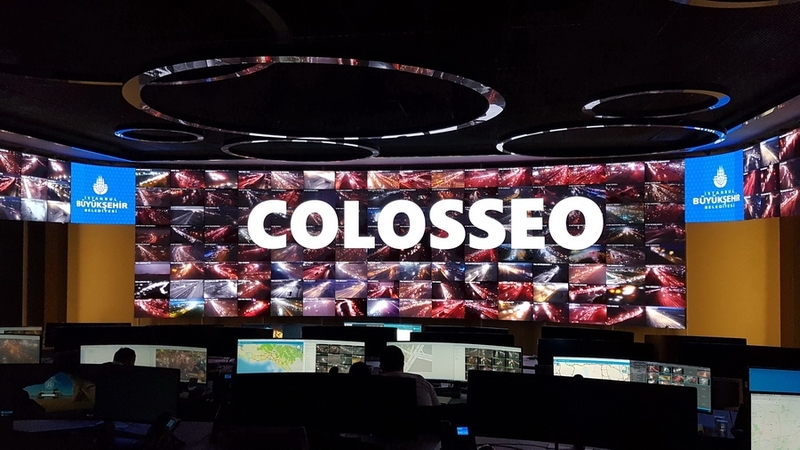 Colosseo, along with its local partner Ultima, was chosen for this project as it is globally recognized for being a turnkey provider of both hardware and software solutions, with a proven long term track-record in live video processing and multimedia management in one package. 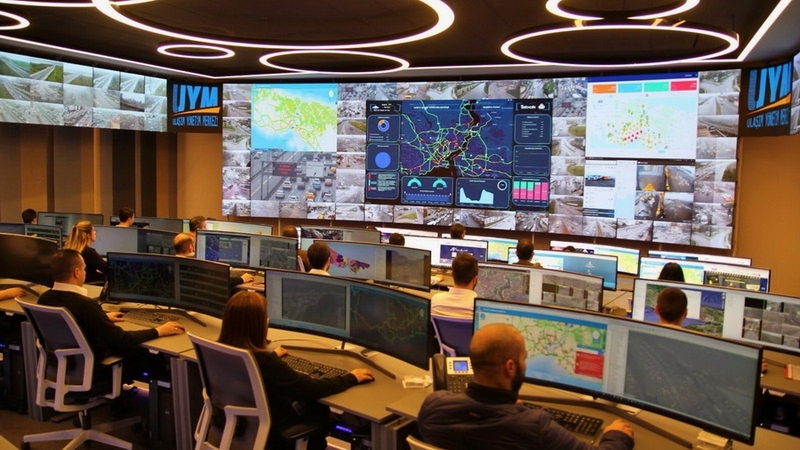 Istanbul Hisarüstü Traffic Control Center now features Turkey’s largest indoor curved fine pitch LED videowall with a total LED area of 55 sqm, featuring only 1.2 mm line spacing, designed, manufactured and installed by Colosseo. 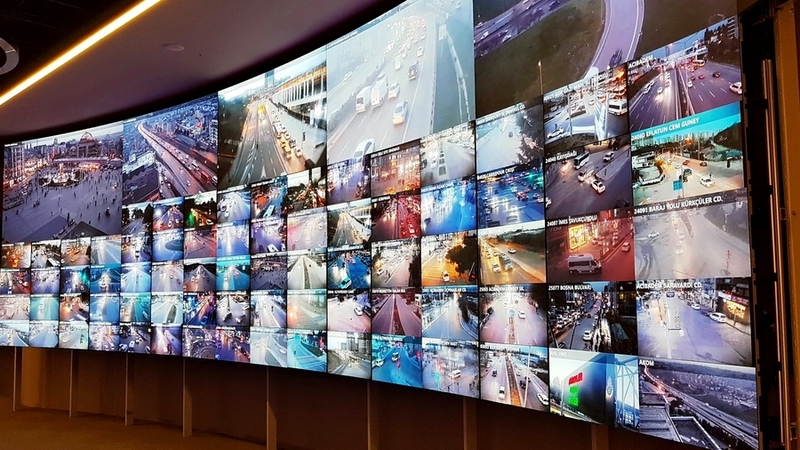 Also included is the Video Wall manager, a highly advanced solution for management of all live camera feeds and multimedia content and a member of the Colosseo Enterprise product portfolio. 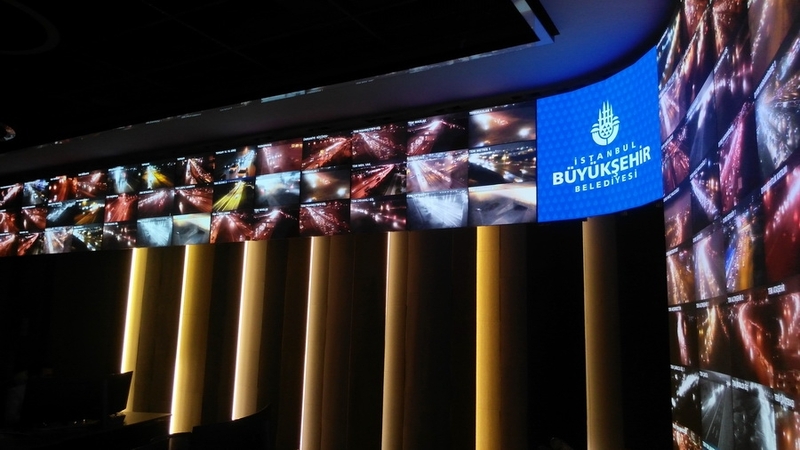 Based on the Colosseo Single Media Platform’s proven and reliable infrastructure, the system has taken over two thousand live camera feeds throughout the Istanbul area, covering all key road networks and provides full freedom in organizing them into various presets, sizes and positions on the giant fine pitch video wall. 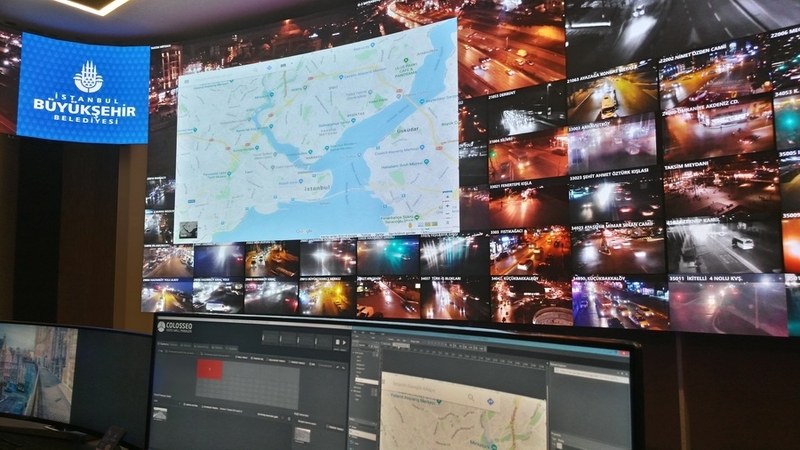 The system also features an advanced geographic filter for all available camera sources, with the option to select a desired location on the interactive map while also integrating external media sources like Google maps or web pages, RSS and XML feeds, that can be rendered on the video wall in a predefined graphic template. 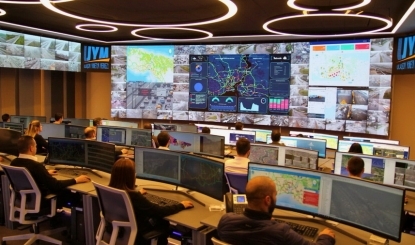 The Istanbul Hisarüstü Traffic Control Center has become the most advanced control room in the entire region and along with Colosseo Video Wall Management system is packed with many other state-of-the-art technologies, thanks to ISBAK uncompromising demands on the best possible equipment available on the market. Colosseo continues to prove its strong R&D base and the flexibility of the Colosseo Single Media Platform with the latest trends and demands within the “smart cities” market with excellent adaptability, scalability and a variety of different uses.